To most people, building your own car means hours of labor stretching out over weeks, months or even years. Condense this time span down to about an hour and you’d have enough to build the TABBY, an open source electric vehicle. 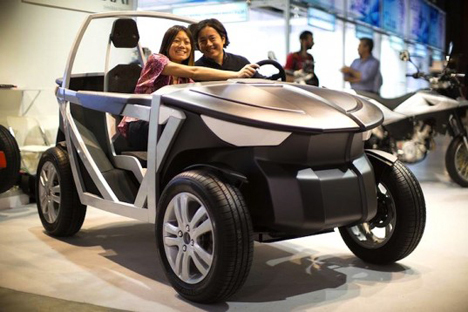 Italian alternative vehicle company OSVehicle is the creator of the TABBY. 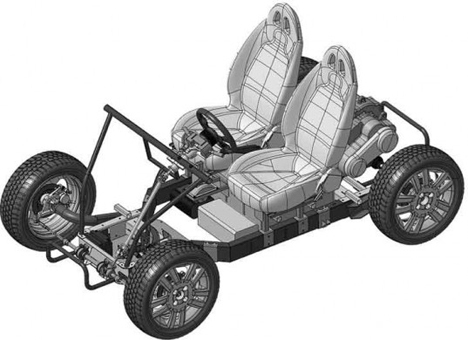 The company’s website describes TABBY very simply as “an open source framework for vehicles.” Its short assembly time doesn’t mean you have to completely sacrifice car building’s freedom to customize. The TABBY’s engine is available in traditional combustion, hybrid or fully-integrated electronic form. Making your TABBY street-legal, however, does require special instructions. That’s where the Urban TABBY comes in. Called “the road legal evolution of TABBY,” it’s a special kit that you would apply to the chassis. OSVehicle’s website includes downloadable building instructions and a forum where you can upload and discuss your personal mods. Fully-built models run anywhere from $5,445 to $8,168, a reasonable price tag when you consider what some people will put into an old junker. See more in Concept Vehicles or under Transportation. January, 2014.